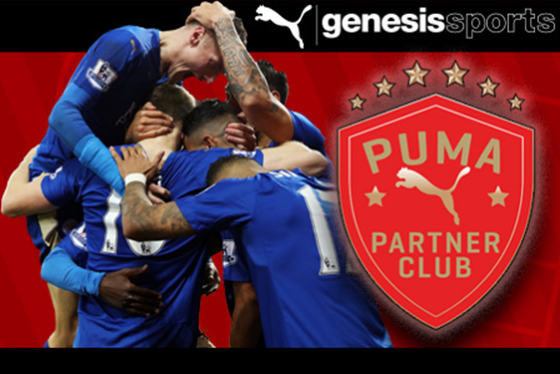 Genesis Sports are looking for clubs to become a PUMA Partner Club - providing numerous benefits, including generous discounts on PUMA kit and team-wear. Places are filling up fast, so if you want to kit your team out like the pros and save money on kit & team-wear while you're at it, then read on. Interested in becoming a PUMA Partner Club? Visit genesissports.co.uk to find out more. Egerton FC are a grassroots football club based in Knutsford, Cheshire. They have over 30 teams and provide football for adults and children - male and female - of all abilities. Egerton became Genesis Sports' first PUMA partner club in 2015. Since then, the club has placed over 50 orders online using their own unique account page. Tom O'Donnell, Club Chairman of Egerton FC, said: "With a large number of teams, managing our kit orders efficiently and ensuring our teams look the part is vital. And as a partner club, we raised £2,000 from our match day hospitality we received as part of the PUMA rewards program." Formed in 1974, Cadishead Sports JFC compete in the Warrington Junior League, from their base at Rowson Drive Playing Fields in Manchester. For the last 40 years, the club has provided football facilities for boys and girls from the surrounding areas of Irlam and Cadishead but, until signing up as PUMA Partner Club recently, were keen to improve the quality of their kit and the service they received from kit suppliers. "It's fantastic that we now work with Genesis Sports and are able to wear PUMA kit and team-wear," said Cadishead's Stephen Kloc. "The standards have been raised even higher at the club and all the kids love playing in a top brand in PUMA." 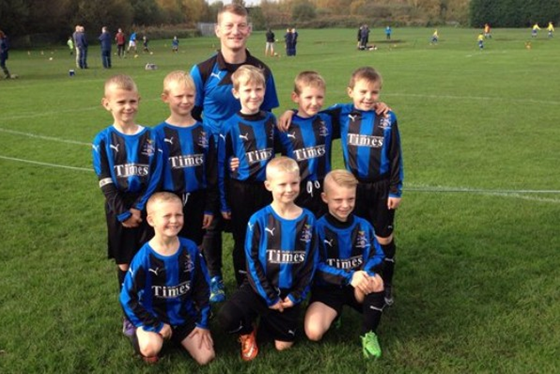 Cadishead Sports JFC run more than 20 teams, including the Under-8s, who are pictured below in their new PUMA kit.